News bite: An appeals court has withdrawn its opinion favoring the chiropractic profession in the lawsuit between acupuncturists and chiropractors. Due to a technical oversight the acupuncturists will now have a second chance to convince the courts that doctors of chiropractic should not be allowed to make use of acupuncture therapy because it is “owned” by the medical acupuncturist board. In the lawsuit brought by the acupuncture association against the Texas Board of Chiropractic Association (TBCE), a Texas appellate court on Feb. 17, 2017, gave the Texas Association of Acupuncture and Oriental Medicine (acupuncturists) another shot at challenging the validity of two provisions in the TBCE’s administrative rules that it believes are invalid because they allow chiropractors to practice acupuncture. The Third Court of Appeals that issued an opinion favorable to the chiropractic profession in August 2016, withdrew that opinion when it issued this replacement opinion. The reason cited for the chang was “the Acupuncture Association challenged both rules. But the court only addressed and remanded Section 78.14.” The appellate court wrote that the trial court had erred in granting the Chiropractic Board summary judgment on the Acupuncture Association’s challenges to the validity of both rules and remanded that portion of the judgment for further proceedings. 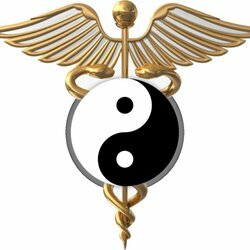 “We will reverse that portion of the trial court’s judgment dismissing the [acupuncturists] challenge to the Chiropractic Board’s rule expressly authorizing acupuncture and remand for further proceedings,” the Third Court of Appeals wrote in its opinion. According to the opinion, after the Texas Legislature established the scope of chiropractic work, the Chiropractic Board “informally advised” its members that the act permitted chiropractors in Texas to perform acupuncture. After it was directed by the Legislature to adopt formal rules clarifying the scope of practice, the board promulgated rules authorizing chiropractors to perform needle EMG, manipulation-under-anesthesia and acupuncture. That rule triggered a lawsuit from the Texas Medical Association, seeking declarations that those provisions were invalid because they exceeded the statutory scope of the chiropractic practice which permits: the objective or subjective means to analyze, examine, or evaluate the biomechanical condition of the spine and musculoskeletal system of the human body; the performance of nonsurgical, nonincisive procedures, including adjustment and manipulation, to improve the subluxation complex or the biomechanics of the musculoskeletal system, but excludes incisive or surgical procedures; the prescription of controlled substances, dangerous drugs, or any other drug that requires a prescription; or the use of x-ray therapy or therapy that exposes the body to radioactive materials. The acupuncturists and the TBCE both moved for summary judgment, and the trial court sided with TBCE. The acupuncturists then filed this appeal, arguing that TBCE exceeded its rule-making authority and that the trial court erred by not concluding so.